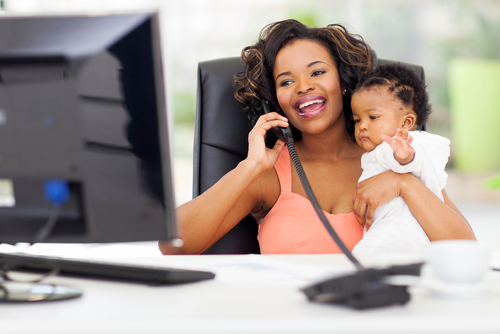 Working Mothers, Ask Yourselves This Question? Wall Street legend-turned entrepreneur Sallie Krawcheck writes about the surprising mantra she uses to guide her career: What would my children think? One lesson she hopes to impart is that your work can make a meaningful impact. Anyone searching for proof of that idea should look to Fortune’s Most Powerful Women International Summit in London, which kicks off today, June 13th, and continues on June 14th. The confab is a opportunity for female leaders in business, politics, philanthropy, and the arts to gather and discuss the work they do–and how it is changing the world we live in. As for me, I’ve been balanced and I’ve been unbalanced. I’ve had more work in my work-life equation (hello, financial crisis) and I’ve had more life in it (particularly after a car accident knocked my daughter out of school for a few months). But honestly, this question is not something I’ve ever gotten particularly anxious over. In fact, at my house, our running joke is that I’m a surprisingly mediocre mother–and that my mediocrity has been an upside surprise. Perhaps I haven’t spent energy fretting over my work-life balance because I’ve had a few career breaks, and thus a few stints as a stay-at-home mom….which I didn’t love. Don’t get me wrong: I love my kids, but being a full-time mom isn’t for me. And my kids didn’t vastly prefer it either. It’s also because there’s a different question that’s motivated me over the years–one that I don’t think receives enough attention: What lessons will my children take away from observing me and their father in our careers? Here’s my thinking. I’m honestly not sure whether my kids will grow up to have more leisure time than we do, or whether they will have to work more. But I’m erring on the side of assuming that they will be required to work, and that my daughter may not have the luxury of even asking herself the work-life balance question. I’m assuming that the changing economy means that she will be required to have a job and to reinvent herself and her career numerous times. It’s encouraging, then, to note that research suggests that my decision to work outside of the home can have a positive impact on my children. It indicates that daughters of women who work earn more in their own careers–and I don’t think it’s a coincidence that my son self-identifies as a feminist. With that as a foundation, the question I always come back to is: What behavior am I modeling for them? Do they see a mother who loves what she does–or one who beats herself up over it? Do they see a mother who is empowered through her work–or one who is dragging herself out the door every day? Do they see a mother who shrugs off being 15 minutes late for the school play–or one who is angst-ridden over falling short? Finally, do they see a mother who is making an impact on the world through her work? This lesson hit home hard when a once-very senior, now-retired women in finance told me that neither of her children chose to go into business, and that they wouldn’t touch the financial services industry with a ten-foot pole. They told her they felt this way because she had been so clearly miserable during her time in the workforce. She says that she had felt so guilty about being away from her children that she apologized repeatedly for it, telling them how she would prefer to be home with them. But in truth, she’d had an exciting, engaging career. There is plenty I have gotten wrong as a mother, but I have tried to demonstrate for my children that one can have an impact through one’s career. I’ve hoped to make them feel connected to my work, even by doing something as simple as talking about my day during family dinner. But that doesn’t mean I’ve played Pollyanna: I’ve also always been crystal clear with them on the ups and downs I’ve had in my career, since I really doubt theirs will be straight lines to success. Better for them to see me get knocked down and then get back up than for me to hide the details of the journey. (I believe this is especially important for my daughter, since we women tend to take failure harder than men.) I want them to see that a career doesn’t have to be all great to be great. Trying to see my career through my kids’ eyes has also provided me with a fresh perspective. When I face a difficult decision, I often ask myself how I would explain that choice to my kids. If they Google me, what will they read? Will they be proud of me? Would I want them to make the same decisions that I am making? The “can we have it all” debate will certainly continue. For me, through, the example I want to set for my children will always be the filter that allows me find my path through my career. Sallie Krawcheck is the CEO and Co-Founder of Ellevest, a digital investment platform for women. You can request an invitation here. She is the former CEO of Merrill Lynch Wealth Management and Smith Barney. She has been named one of Fast Company’s Most Creative People in Business.